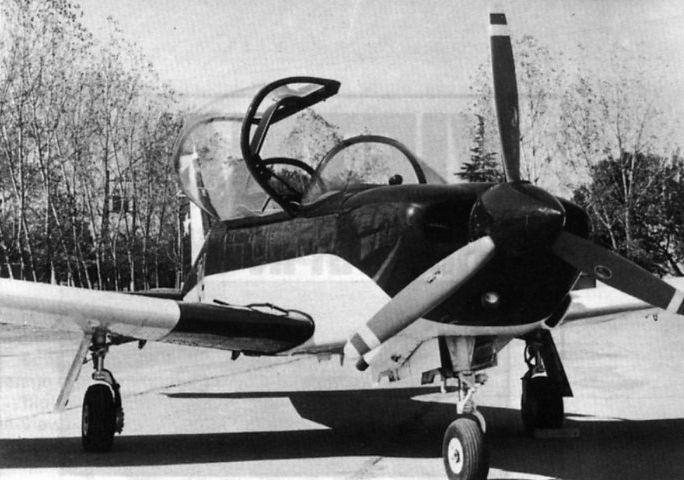 The Chincol tandem two-seat primary-basic trainer of the mid-'fifties. 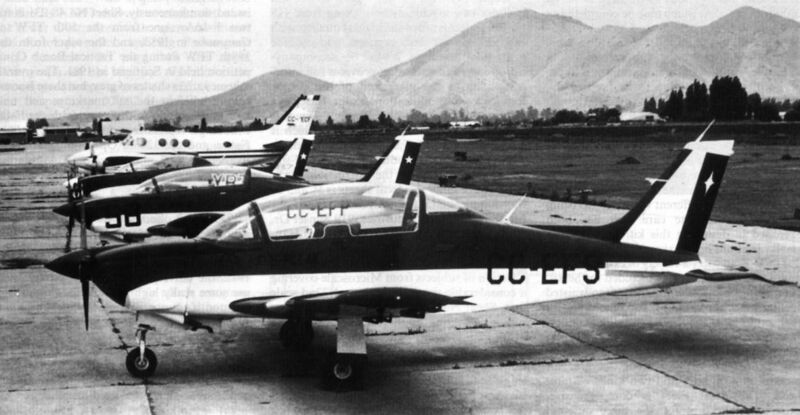 The second prototype Pillan (in the foreground) with the last pre-series aeroplane, serial number 104, and a CASA C-101CC Aviojet, which, as the A-36 Halcon, is the subject of a second ENAER programme for the Fuerza Aerea de Chile. 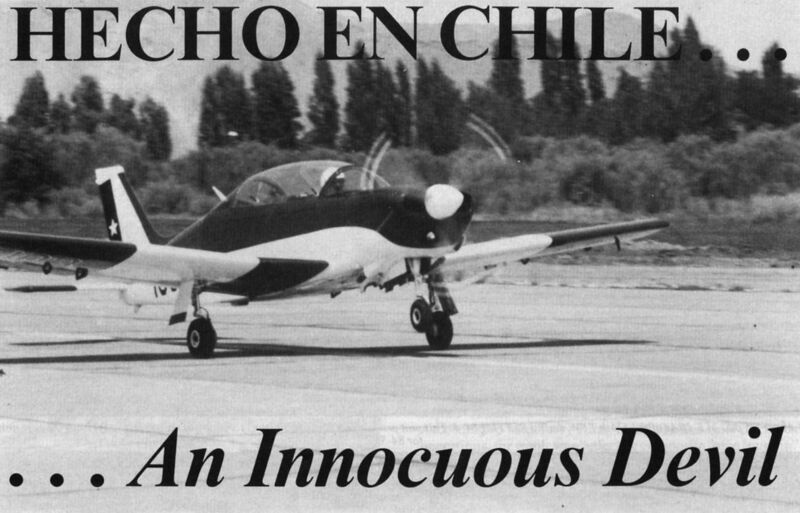 The second Chilean-assembled prototype (the first, serial number 101, having been lost on 10 March 1982) which was demonstrated at Farnborough '82 where it was flown with verve by test pilot Francisco Izquierdo. 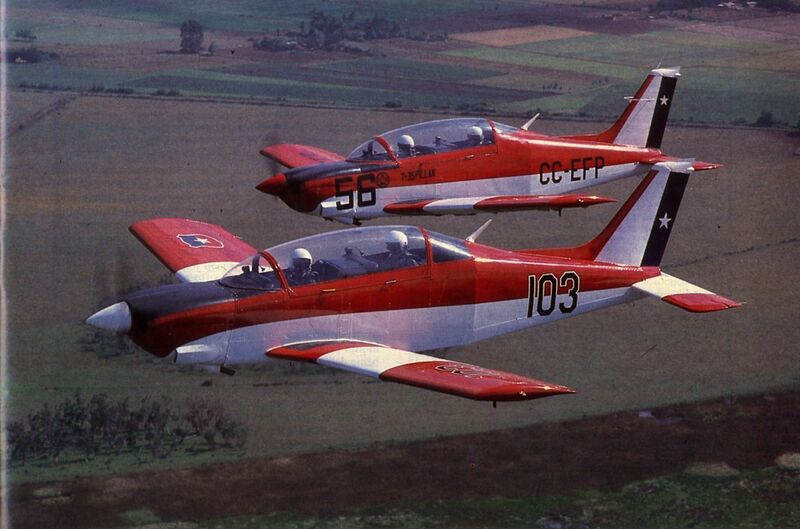 Pre-series Pillan, serial number 103. flying with (in background) the second Chilean-assembled prototype. 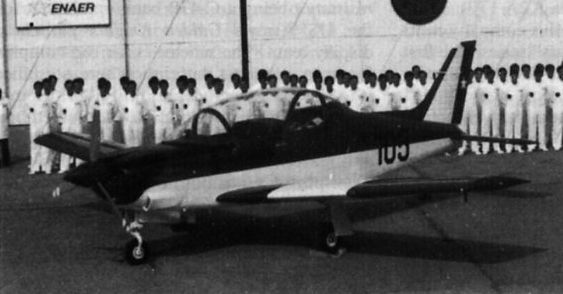 It will be noted that both aircraft feature the lower rear canopy profile that preceded the deeper canopy seen on pre-series aircraft 104. 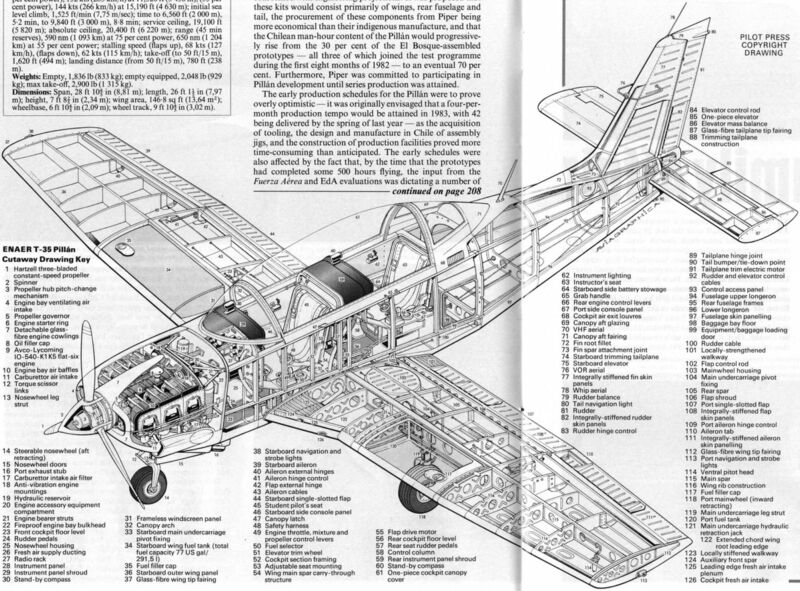 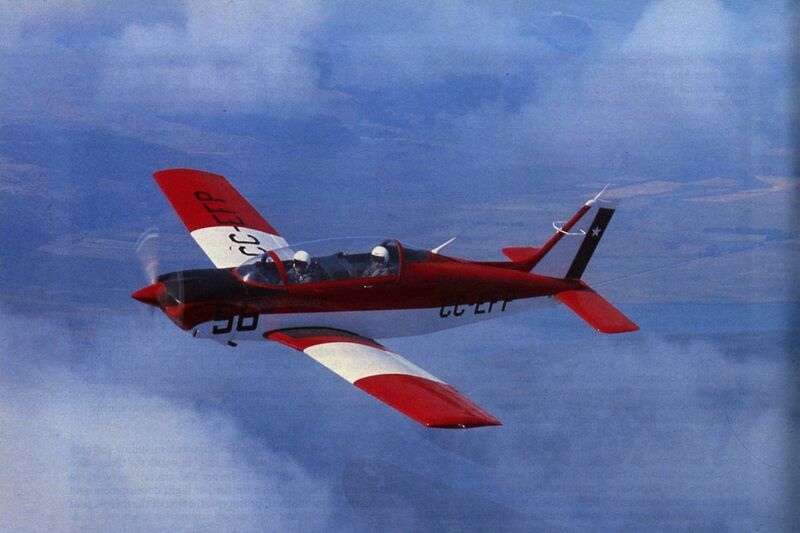 The production standard Pillan CC-EFS demonstrated at Farnborough '84 with the second Chilean-assembled prototype CC-EFP and the second Piper-assembled prototype YBT. 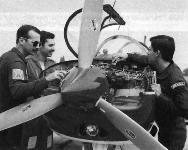 The first prototype Pillan photographed while under test by Piper. The final pre-series Pillan, serial number 104, was the first aircraft to be fitted with the definitive cockpit canopy to improve view for the instructor. 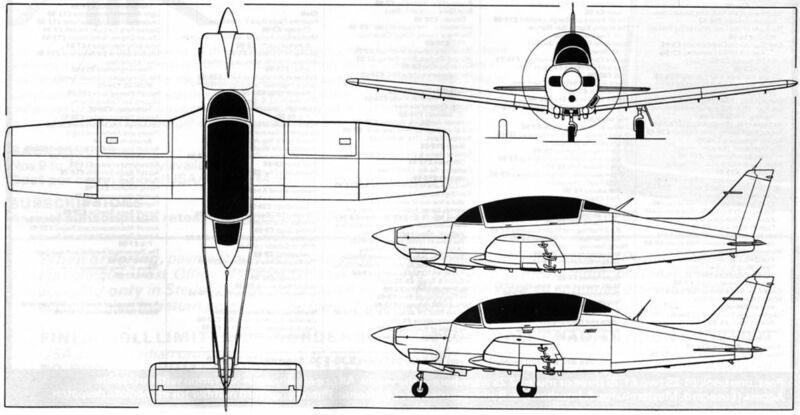 The upper side profile of the general arrangement drawing depicts the prototype. 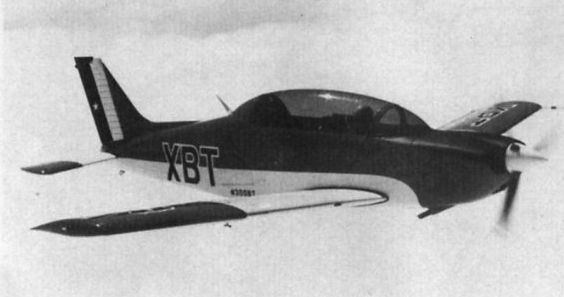 The HF XX02 side-by-side primary-basic trainer of the mid-'fifties.